Riogordo is a small and pretty Arabic village situated at 400 meters above sea level in the Axarquía of Malaga. Typical white and steep streets that serpentine through the village inherited from its Moorish origin. A labyrinth of white walls to wander around and where to discover some of the recommended monuments or places. The layout of the streets of Riogordo is a monument in itself that deserves to be explored. 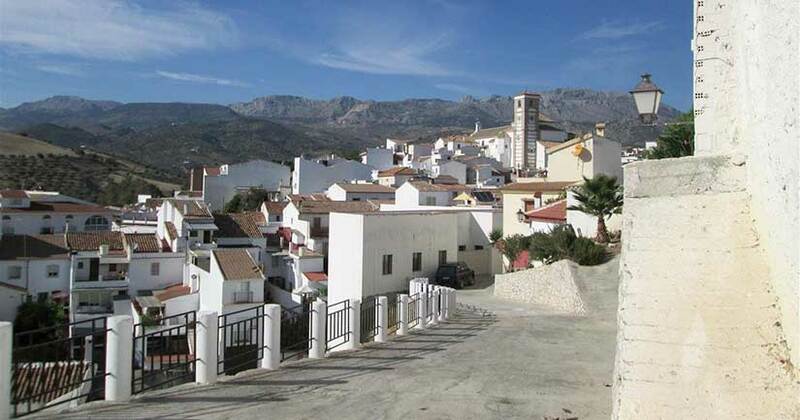 Riogordo can be divided into two districts, the high and the low, both with historic buildings from between the eighteenth and nineteenth centuries with architectural elements of the sixteenth century. In Riogordo we recommend you to visit not only its urban area but also its natural surroundings. You will learn about the town’s past, the tools of the old rural houses and the traditions of the local ancestors. The museum has on its first floor an oil mill dating from the 17th and 19th centuries, a cellar, living room, a kitchen with a 19th century bread oven and a typical Andalusian patio, among other details. The entrance to this building is like a time machine for transporting you into the past. On the second floor is the exhibition hall with works of art by contemporary painters. It is open from Friday to Sunday and on public holidays, from 11:00 to 14:00 hours and from 17:00 to 20:00 hours. Religious building built at the end of the 17th century in the centre of the town. Built shortly after the conquest of the Catholic armies, this church dates back to the end of the 15th century. In the Plaza de la Constitución there is a historical mural known as Mural de las Aguas, which narrates the importance of Riogordo’s water sources throughout its history for the development of its population. In the natural surroundings of the Sierra del Rey are the remains of Phoenician and Roman tombs. Archaeological remains have shown that there were numerous prehistoric settlements in the area, possibly as a result of the wealth of water sources. It is possibly the most popular local festival and takes place during Holy Week, exactly on Good Friday and Holy Saturday. The origin of this parade dates back to around the 17th century. Riogordo is located about 50 kilometres by car from Malaga airport, a simple route that will take you 40 minutes and for which you have to take the direction Ciudad Jardín, Casabermeja and finally pass by Colmenar. During the journey, if you have time, we recommend you to visit the Cemetery of Casabermeja or to enjoy the rich gastronomy of Colmenar.